Under new laws signed by Gov. Rick Scott on March 26, 2018, Nursing homes and assisted living facilities in Florida will now be required to have generators to provide backup power during an outage. This legislation was passed in response to the deaths of 12 residents at the Rehabilitation Center at Hollywood Hills in Hollywood, FL during power outages in the days after Hurricane Irma devastated South Florida. The residents died as a result of overheating because of the lack of power to operate the air conditioning system in the facility. Under the new laws, larger nursing homes and assisted living facilities are required to have enough fuel to run generators for at least 72 hours. Facilities with fewer than 17 beds are required to only have 48 hours’ worth of fuel. Nursing homes will be required to have equipment that maintains a temperature of no more than 81 degrees Fahrenheit (27 degrees Celsius) for at least 96 hours after an outage. A new study released this week by the Human Rights Watch found that many nursing home residents are needlessly being given antipsychotic drugs. The 157 page report titled “They Want Docile’: How Nursing Homes in the United States Overmedicate People with Dementia,” found that approximately 179,000 people, mostly those suffering from dementia, are being given antipsychotic drugs every week in US nursing homes in an attempt to control their behavior. Facilities administer these drugs without the proper diagnosis and in many cases without obtaining informed consent from residents or their families. This is also being done in the face of an FDA warning that these drugs can almost double the risk of death for elderly dementia patients. The drugs are being predominately used for their sedative effect, rather than any medical benefits. Nursing homes are using these drugs as a cost-effective and simple way for understaffed and overwhelmed facilities to control its residents. 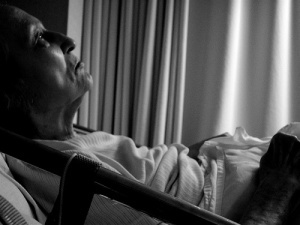 Many nursing homes have an inadequate amount of staff to properly care for the amount of residents in their facilities. This leads to the staff cutting corners and finding shortcuts to deal with the stress of caring for elderly dementia residents. However, it is the residents that suffer when the staff cut these corners. Federal law requires that nursing facilities fully inform their residents about their treatment and the resident has the right to refuse that treatment. There are also some state laws that require informed consent in order for these antipsychotic medications to be given to nursing home residents. The study found that many nursing home staff members admitted to often failing to obtain consent or even to attempting to do so. One of the most difficult decisions families have to face is deciding to put a loved one in a nursing home. They want to make sure they are placing their family member in a safe environment where they will receive the proper care they need. Many of those families rely on a government rating system to determine which facilities are the best. The Five-Star Quality Rating System employed by Centers for Medicare & Medicaid Services (CMS) is a source of information to help consumers make an informed decision when choosing a nursing home. The Medicare Nursing Home Compare website features a quality rating system that gives each nursing home a rating of between 1 (much below average) and 5 stars (much above average). The nursing home is given a star rating in three areas, self-reported staffing, self-reported quality measures, and health inspections. The facility is also given an overall star rating. A new study of California nursing homes (the nation’s largest system of nursing homes) discovered that some nursing homes have inflated their self-reporting to improve their score in the rating system. The study was done by faculty at Florida Atlantic University and the University of Connecticut and published in the Production and Operations Management journal under the title “Winning at All Costs: Analysis of Inflation in Nursing Homes’ Rating System”. The rating system was implemented in 2008 and this study used data from 2009 to 2013. Over the last few decades there has been a movement to reduce bed rails and other variations of restraints that are used on nursing home residents. This movement has been growing ever since Congress enacted the Nursing Home Reform Act in 1987. This law included a prohibition on restraints being used for the purpose of discipline or staff convenience and not for medical purposes. The goals of the restraints were to improve resident safety in nursing homes. However they often have the opposite result and lead to more injuries, deaths, and deprive the residents of their dignity and freedom. Rails can be especially hazardous for residents suffering from dementia. They can fall from greater heights if they attempt to climb over them and sustain more serious injuries (especially head injuries). There are also issues with entrapment. More than 1 in 4 cases of possible sexual and physical abuse against nursing home patients went unreported to police, according to a government audit. These unreported cases violate a federal law requiring immediate notification of nursing home abuse. The Health and Human Services inspector general’s office issued an “early alert” on preliminary findings from a large sampling of cases in 33 states. Auditors identified 134 cases in which emergency room records indicated possible sexual or physical abuse, or neglect. The incidents spanned a two-year period from 2015-2016. Pennsylvania Attorney General Josh Shapiro is part of a coalition of 16 State Attorneys General and the Attorney General from the District of Columbia who sent a letter to the Centers for Medicare & Medicaid Services (CMS) hoping to protect nursing home patients. These states are recommending that CMS keep in place its current pro-patient rule. The existing rule protects patients’ rights by prohibiting pre-dispute arbitration clauses in nursing home and other long-term care contracts. The current regulation was adopted on October 4, 2016, by CMS and a proposed rule would reverse the prohibition on binding pre-dispute arbitration clauses in Long-Term Care facility contracts. Pre-dispute arbitration clauses require seniors to waive their rights to go to court to resolve any disputes with a nursing home.